For some reason I keep typing dogs instead of gods, I’ve tried to correct them all but just in case any slip through, I do mean gods…! Plants and religion make an interesting topic, one which I’m only going to brush the surface of here. They are used practically, symbolically and as a way of connecting with the gods. Plants are used as a tool for ceremony, as an artistic medium for expression, as herbal remedies and as hallucinogenics. They are symbolic, have roles in worship and are offerings to the gods. Trees in particular have had spiritual roles in history, perhaps because of their height, their age and their sort of human like appearance. Evergreen trees in particular are used as symbols of immortality, something which was probably highly revered in times of illness. Religious beliefs are often codified in metaphors and stories which aid in remembrance. Common plants might be used to remind people the teachings of the bible so that they are prompted to think of god when they see them. In Christianity, because god made everything, all plants are a reminder of God but the religion makes it very clear that you worship the creator, not the creation. I’m going to do a very brief tour of the world but before I do so, I wanted to discuss fly agaric. That quintessential fairy mushroom, the symbol of enchanted woods and magic circles. The red fungi with white spots appears throughout children’s books and stories and quickly transports the reader into another world of magic and mystery. This fungi has a powerful psychotropic entheogen and has been used for at least 3000 years. It is likely the mind altering effect which has led this mushroom to be intricately bound with folklore and fairytales. When taken, it can cause muscle twitching, dizziness, visual distortions and altered auditory perception. It is often these visions and dreams that people seek to experience as a way of being closer to the gods, or of passing into another world. In Siberia it was used by shaman to achieve the trance like state needed to commune with the gods. In India it is associated with a god of fire and worshippers would take the fly agaric to commune with the god. There are reports of it’s use in Mayan culture, in Europe and many other parts of the world which is not surprising given that it grows in North America, Africa, Europe, and Australia. Some people say that reindeer eat it and, because it’s potent chemicals remain in urine, some cultures have drunk the reindeer wee to experience the effects. 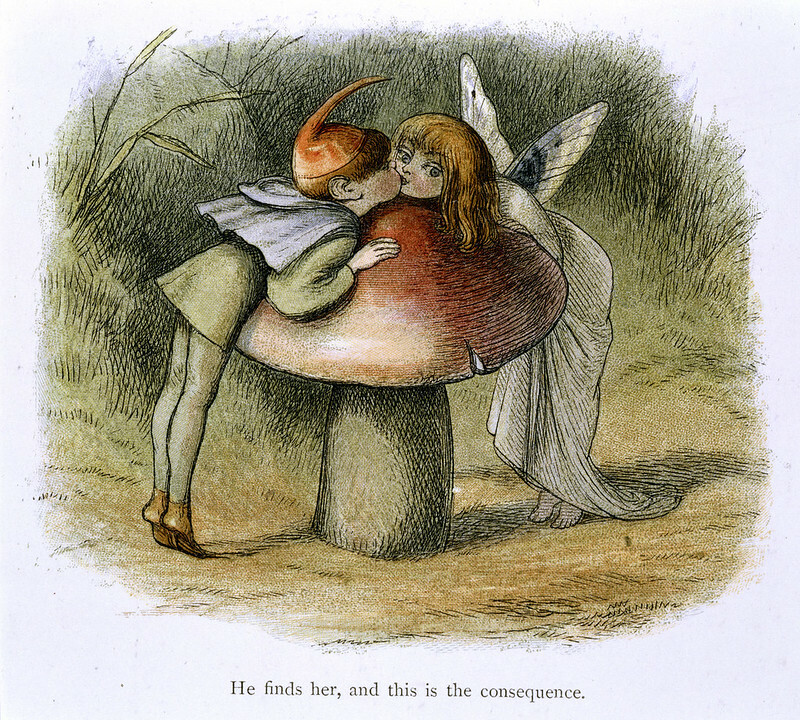 This idea of second hand fly agaric seems to be common with shaman and priests taking the initial dose and their urine being shared among lesser folk. Plants are found throughout the bible in many forms including as foods, spices, medicines and so on as they were, and still are, part of everyday life. There are also a range of well known symbols such as figs meaning prosperity, olives for peace, wheat for the cycles of life and mandrake for sensuality. Of course we also have the tree of life and the tree of knowledge from genesis, the frankincense and myrrh from Jesus’s birth and palm Sunday. If you’re very interested, Wikipedia has a list of plant references from the bible. Druidic and pagan religions and beliefs tend to incorporate a lot of plants into them. There are the druid groves, there are trees and other plants as gods and goddesses, or messengers of them. One belief talks of the holly king and the oak king as ruling over different halves of the year. And particular plants have particular traits, such as the hazel signifying wisdom. Mistletoe was considered sacred by druids and celts, possibly because of the high esteem they held oak, the host plant, in. When mistletoe was found growing on an oak it would be gathered as part of a ceremony and was said to hold power. The norse world tree, yggdrasill, is an evergreen ash tree who’s roots, trunk and branches bind together heaven, earth and the netherworld hel. The tree was considered to be holy and features in much mythology. In ancient Greek and Rome, the gods and goddesses often had plants associated with them. For example lily was the flower for Hera, goddess of the moon, earth, air, women’s life, marriage and childbirth. In Rome, the lily was the embodiment of Juno, goddess of light, sky, marriage and motherhood. Oak groves were considered to be temples of Zeus, god of thunder, and the rustling of the oak tree was thought to be a sign of his presence. In Hinduism, plants are seen as spirits, as representations and used as temples. Heaps of flowers and garlands are offered to attract the gods, and sweet smelling flowers are used to repel evil. It is also said that the leaf of the banyan tree is the resting place for the god Krishna. The banyan tree is also the national tree of India and is considered sacred and found near temples and other religious sites such as sacred groves. These sacred groves which tend to have a presiding deity. While most of these are associated with Hindu gods, there are also sacred groves of Islamic and Buddhist origins. The national flower of India is the lotus and has been held sacred for over 5000 years. It is a symbol of resurrection as it closes at night and sinks only to rise again in the morning. It also represents purity as the beautiful blossom grows clean and untouched by the muddy water around it. I also touch on religious aspects of plants in my plant spirit posts. Bluebells go by different names and is a name used to refer to different but similar plants, thus making research into this plant a bit vague. For example, in Scotland, bluebell refers to the harebell, and the invasive Spanish bluebell is incredibly similar to our native species. Some of the names this flower goes by are: Calverkeys, Culverkeys, Auld Man’s Bell, Ring-o’-Bells, Jacinth, Wood Bells, Wild Hyacinth, Fairy Flower, Granfer Griggles, Cra’tae and Bell Bottle. For me, the bluebell reminds me strongly of my aunty and so is a flower of remembrance. These beautiful bulbs carpet ancient woodlands throughout Britain and are protected under UK law with a fine of up to £5,000 for each bulb removed. They are rich in pollen and nectar, providing important food for bumblebees who in turn are the chief pollinators. That said, cheeky bees can take the nectar without pollinating the flower by biting a hole in the bottom of the bell. This seems a bit shortsighted because the bluebell provides an important early source of food and the more plants you pollinate, the more plants you’ll have to eat from next year. A lesson it’s always good to come back to from time to time. Ask first, take what you need and leave behind enough for the future. In foraging this means don’t take all the plant because no one else will have any and also because if you do, the plant could die and next year you’ll regret it. Flowering between mid April and late May, they transform the vista. Because they spread rapidly, their vibrant blue hues cover the ground in a stunning display. But be careful, it is said that if you hear a bluebell ring, your death will be soon. Also, beware of fairies for a bluebell carpet is woven with fairy magic. Despite their early flowering, their leaves stay around until late autumn, providing ground cover and verdent green lushness until winter when they retreat back under ground to prepare for the next spring bloom. Possibly due to being poisonous if used incorrectly, the bluebell does not appear in much medicinal lore. When prepared appropriately, the poisonous bulbs can be used as a remedy for leucorrhoea (thick, white or yellow vaginal discharge), and as a diuretic or styptic (which promotes wound healing). Outside the healing arena, they have been used for many years. Their sap is sticky and was used to bind pages into spines of books as well as by Bronze Age people to attach feathers to arrows. The bulbs, crushed, provided starch for the fancy ruffs of Elizabethan fashion. Returning to where we started, the name of this pretty flower, we find that Linnaeus (an important guy in plant classification) first called it Hyacinthus. Hyacinth was said to be a flower of grief and mourning, and whilst it is a delight to look at, if you pay attention to an individual, you can see their heads hanging heavy and sorrowful. In mythology, Hyancinthus was loved by Apollo and Zephyrus but prefer the Sun-God. One day, when playing a game with Apollo, Zephyrus blew a quoit off course and it killed Hyacinthus. Apollo was distraught at the loss of his friend and from his blood created a purple flower. On this flower the letters Ai, Ai were seen as a reminder of his cry of grief and woe. As the flowers today do not bear such letters, we have the latin name Hyacinthus nonscriptus, or ‘not written on’. For me the bluebell is about remembrance, about grief and about magic. It is about beauty, even when things seem tough. And it is a lesson in growing and replenishing yourself and learning from hard times. None of the above should be considered medical advice, do not eat anything unless you’ve done your research. Plants go by different names in different places and have different properties at different times of year. Some of the possible uses of this plant have come from folklore and should not be taken as fact. Yet jetty hangs the Bramble. Fit jewels for a queen. And closed is Flora’s book. The ubiquitous bramble. The plant which bears the fruit that most of us know as blackberries. These juicy berries are also known as blackbides, blackbutters, blackites and scald berries depending on where you are. Another important bit of regional info you might want to check out is the date after which you should no longer pick them. This varies across the UK and it is said the reason you should not pick them is because the devil will have claimed them as his own by spitting on them. Blackberries have been eaten for thousands of years and are eaten as they are, used in baking and turned into wine. They are the quintessential foraging food. Even if you have done no foraging in your life, there’s still a pretty high chance you’ll have picked blackberries. Eating them straight off the bush, getting purple fingers and juice dripping down your clothes, perhaps staining them to much your parent’s annoyance… This is a tough plant to erase. Once it’s found a home, it’s there to stay. Whether that is a patch of overgrown land or your nice white tshirt. According to some traditions, a blackberry’s deep purple colour represents Christ’s blood. The way the bramble grows creates an almost impenetrable thicket. They have long, thorny, arching shoots and they set up home easily. Once established, they’re incredibly difficult to eradicate. This is a plant of tenacity and determination. Willpower is another word which springs to mind as does perseverance. The prickly bushes line the sides of roads, paths and inhabit overgrown areas, reclaiming the land. They are plants of the hedgerow, accompanying the traveller on their journey. The bramble is the wayfarers constant companion. But because they are so common, they quickly become overlooked. Like the woodpigeon, we stop seeing their wonder and beauty and the fruits they bear because they become background noise. These well recognised plants are used in healing as well as for food. Their leaves are said to aide headaches, their fruits to help sore throats and folk medicine practitioners are said to have used bramble arches in their healing. Which brings us onto the thorns. Whilst it is generous of the bramble to provide us with blackberries, we must earn them and not take frivolously or beyond what we need. The thorns keep us in check, managing our greed and our lust. Blackberries ripen at harvest time, a time of abundance and gathering, calling on us to manage our own balance of preparedness and greed. The bramble, with it’s power of entanglement, is perhaps asking us to think about how entwined we have become with material possessions. It may be suggesting we stand our own ground, standing firm and sure. Or perhaps it’s as simple as inviting us to step out onto the paths and forage for these delicious delicacies. A friend suggested I look into this plant and wow. There is so much of interest here! It is a plant of contradictions; it is benevolent and malevolent, kindly and spiteful. An emblem of death, trouble and sorrow but also of health and healing. Starting with healing, the elder has been called the medicine chest of country people and used as a cure all. More specifically this has included using bark for rheumatism, the leaves for eczema and burns and berries for colds and flu. Other ailments that elder is used to treat include bronchitis, coughs, viral infections, disorders of the mouth, the digestive tract and the skin. It has been used in eye and skin lotions and to increase urination. As I said, this is a bit of a go to plant when it comes to herbal remedies. 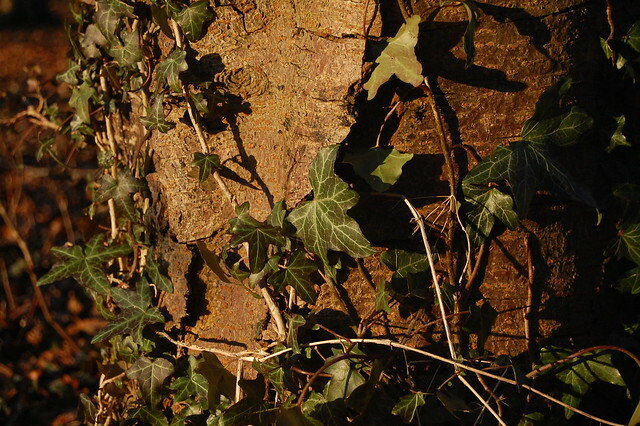 The elder inhabits the edges – hedges, roadsides, pathways – which seems fitting for a plant that is essentially on the fence about its identity, uncommitted to a path of kindness or malevolence. One example of this ambiguity lies in the blossom. To give elderflower blossom is a sign of humility, kindness and compassion but if you fall asleep under the elder, then the scent from the blossom is said to poison you or draw you into the fairy world. I am sure you are all familiar with drinks made from elderflowers and berries, but it did you know that the berries are poisonous unless fully ripe? And it was believed that standing on elder leaves could lead to a miscarriage. Despite this, the plant has been used to make jams and jellys as well as drinks. The wood is hard and easy to polish on the outside, but has a soft, easily removed core. This has lent to it’s use in pipe type instruments such as fairies play and is just one example of the elder embodying opposing concepts. Further, we see that the elder is a strong plant and grows well but is shallow rooted. Even to call it a tree is uncertain, is it a bush or a shrub? It doesn’t really matter to me but further illustrates the ambiguity and puzzling energy of this plant. It was said that putting a baby in a cot made of elder would cause Elder Mother to come and pull the child’s legs. Peace could not be achieved until the child was removed from the cot. But as with all things elder related, there is a flip side. It was said that an elder by the doorstep protects a home, that a flourishing elder on a grave means the dead are happy and elder berries picked on st john’s eve would protect you from magic. I am unsure where this fits in the benevolent and malevolent scale but a Danish belief says that if you stand under an elder on midsummer’s eve, you’ll see the fairy king ride by. Elderberries have been called devil’s eyes and yet the plant as a whole has been called the queen of herbs. Nothing is straightforward or as simple as it seems with the elder. As the 13th month in the Celtic Tree Calendar, it is both dying and being reborn, the end and the beginning. Perhaps in light of this, the elder as a plant of contradictions and paradoxes makes more sense. Rhododendrons, from the Greek for rose tree, are a highly invasive species which is not native in the UK. It is poisonous and it destroys habitats for native wildlife and competes with native plants. There are over 1,000 species and all parts of the plant contain toxins. Despite this, we continue to grow them in gardens for pleasure. I want to start by taking a look at the poison aspect. When eaten, it causes vomiting, diarrhoea and constipation, slow heart rate, loss of coordination, falling and exhaustion. It tends to be animals that are affected by the poison although it’s still poisonous to humans, it’s just there is less chance of us ingesting it. Apparently there was a bout of poisoning in 400BC in Turkey that may have been down to toxic honey made from the nectar of the rhododendrons. Unsurprisingly, in the Victorian language of flowers, this plant symbolises danger and to beware. Outside the sexual arena, this could be asking you to look at collaboration. Mixing things up. Taking one idea from one field and using it in another. Working with someone from a different profession, a different background. The place where subjects meet is fertile ground for creation of ideas and art works and breakthroughs. Bring together your passions and see what magic happens! These delicate flowers are actually hardy plants that permeate the snows and frosts of the early year to brave the cold, wintery air. The scientific name, Galanthus, comes from the Greek for “milk flower”. How beautiful and fitting is that?! In terms of reproduction, they are vigorous and spread rapidly through bulb offsets as well as by seed dispersal and animal and water disturbances. They tend to be found near human habitation and former monastic sites. Because they flower so early in the year, they can thrive under deciduous trees who won’t yet have leaves to block the sun. This gives the snowdrop a specific niche in the woodland that many plants would not be able to survive in. The more I find out about this plant, the hardier and sturdier they seem to be, despite their delicate appearances. To push through the snow, they have tough, hardened leaves which can also push through frozen soil. This is a determined, resolute plant. The embodiment of power and fragility, strength and softness. Naturally, given their timing and their colouring, they are celebrated as a sign of spring and the associated purity, birth and fertility. As the flower of January, they bring hope and remind us that better days are coming. They are the symbol of candlemas and are dedicated to the virgin mary. Apparently, when Adam and Eve were forced out of the garden of eden, they entered a world of winter. Here an angel blow on some snowflakes which turned into snowdrops and were a sign that better things were coming and a lesson that there is always hope, even in the darkest winter. When God created snow, he gave it the task of visiting the flowers of the earth to gather colors. All the flowers refused, until the snow visited the gentle snowdrop. Seeing that the snowdrop was a kind and generous soul, the snow decided to make a deal. In exchange for her color, the snow agreed to allow the snowdrop to bloom first every spring. The delicate snowdrop agreed and cheerfully blooms amid the snow each spring. Despite this link to pureness and life, the snowdrop is actually poisonous and can cause death. A single snowdrop flower is said to signify impending death and should never be bought into the house (possibly because it could be mistaken for something edible?). For me, the main message from the snowdrop is that of holding duality; life and death, strength and vulnerability.